connect thousands of cables or network ports. move them from place to place freely if you have to work at more than one job site. Because there are no cables or cords, operating a wireless printer is much easier and stress-free. Users of wireless printers can print from any device even tablets and smartphones as you are not tethered to a specific printing point. possibility of encountering problems is very low. by the thousands of wires or cables during set up. Wireless printers are embedded with multiple functions including copying and scanning. printing individually, which makes the printing process much faster. As more and more people start switching to wireless printers, the number of models available has also increased which makes it easier to purchase based on budget and preference. 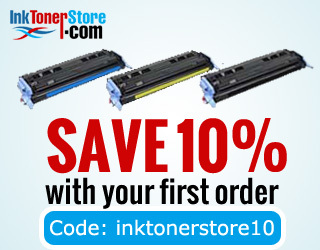 customer, use coupon code: INKTONERSTORE10.